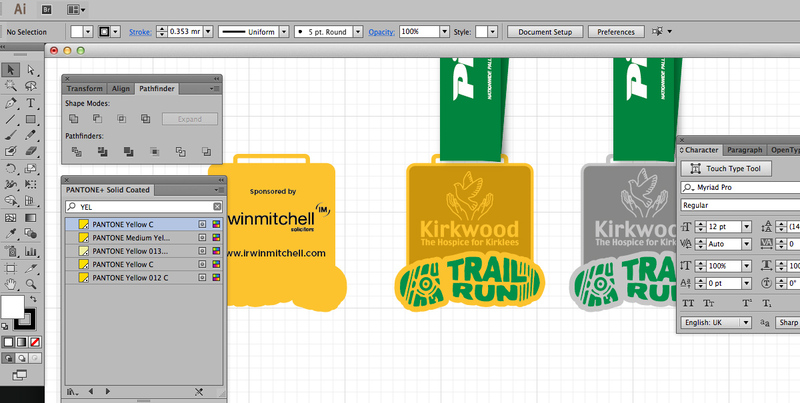 We use the latest up to date software packages to create accurate designs of what your badge, medal, lanyard etc will look like. We provide a FREE design* service on all orders, this helps you understand what your item will look like before a penny is spent on production. Once you place your order we will provide you with a compatible visual for you to check, change or approve. 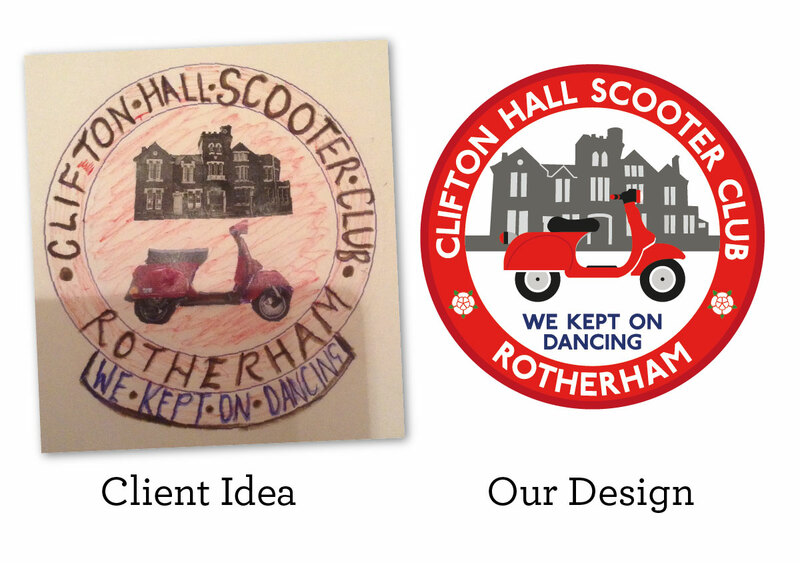 Like the example the idea and our design to the right. Few things you might find helpful for some of the most common materials. 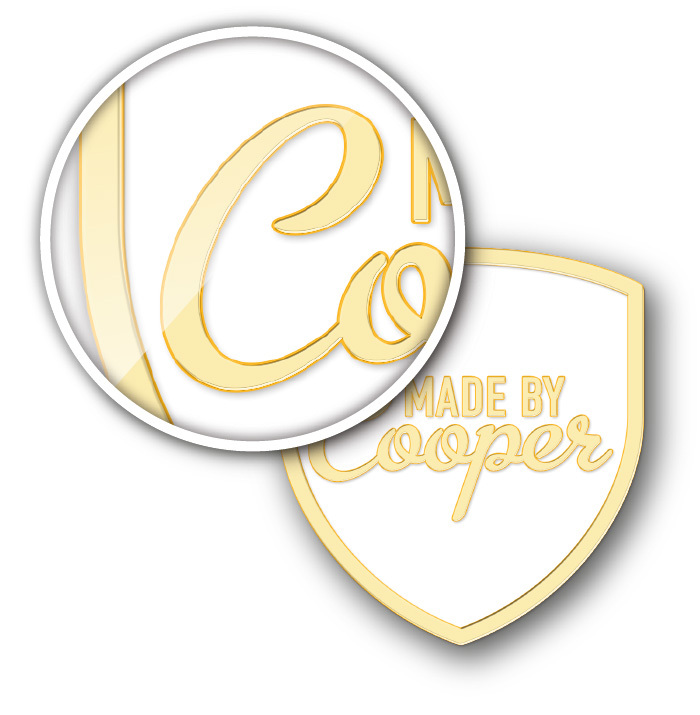 Designing in metal and enamel has its set of constrains, whether it is a small enamel badge, large 3D medal or enamel keyring, they all have a similar set of rules. Each enamel colour requires a (metal) die line between them, this acts like a wall to stop enamel mixing together. Smallest die line is 0.2mm thickness, so when designing in enamel and metal set your line tool to 0.2mm as the smallest line we can achieve. Smallest text as a guide line is helvetica 4pt, but please check any special fonts with a line at 0.2mm for size. For Soft Enamel Please allow about 0.3mm for an enamel line and 0.5mm for Hard Enamel. Enamel starts life as a liquid, and it is hand syringed into the the space, 0.3mm is very small but still achivable. Due to the high polishing nature of Hard enamel, this process is more likley to spread and the details to appear rounded or thicker. If you don't require enamel in your design and just raised and polished, the 0.2mm paramenter still applies but we do have a range of textured finishes available to enhance the design. 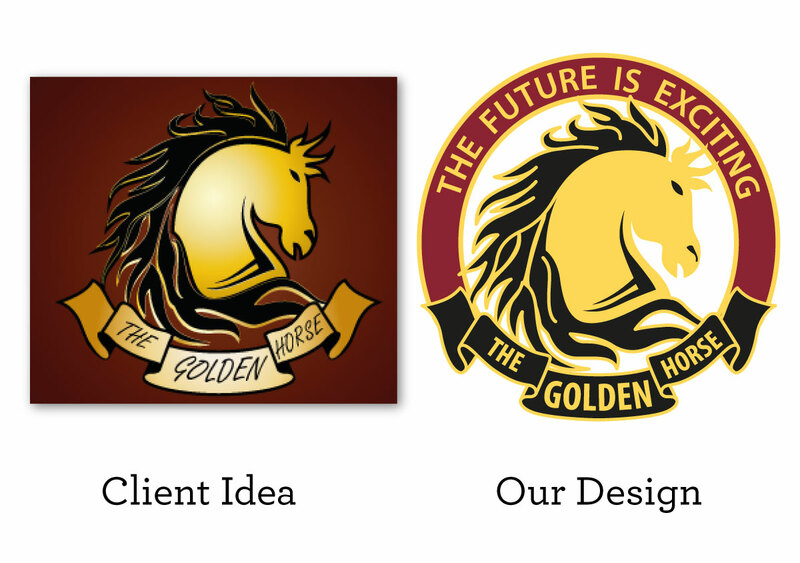 Badges come in various platings, standard Gold, Nickel, Bronze, but also other platings, such as antiqued silver, brass and more. 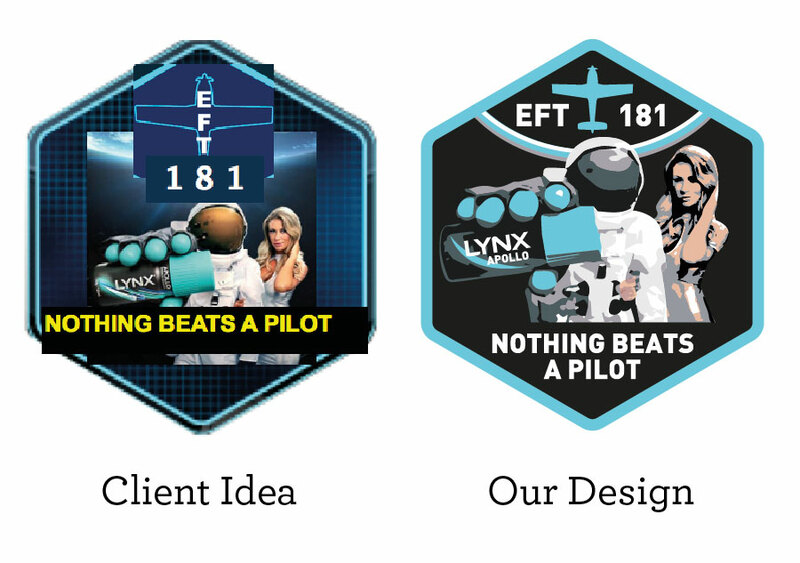 We will discuss and visualise the plating that best suits your job. Woven cloth, just like those swimming patches you got for fetching a rubber brick from the deep end in your pyjamas. PVC, is a soft rubber material, that is great for vibrant colours, normally used for keyrings, but can be used for badges too. Some colours may require to be seperated by a grove due to manufacture, this grove is approx 0.4mm wide, but we will advise on each design submitted. We use the pantone reference system for colours, The Pantone Color Matching System is largely a standardized color reproduction system. By standardizing the colors, different manufacturers in different locations can all refer to the Pantone system to make sure colors match without direct contact with one another. For full colour items that use photographs we use CMYK Printing.